One of the most commonly sought bits of video-editing knowledge is the ability to blur face in videos, whether for privacy reasons, artistic effect, or whatever sort of thing you’re going for. You can go wild once you learn how to blur certain parts of a video, and this is something that, in our opinion, every aspiring video editor should learn how to do. Now there are hundreds of video editing software, and every video editor has his own personal choice when it comes to choosing the right tool for the job. Our list focuses on what are, in our opinion, the most accessible and efficient NLE’s on the market. Filmora9 is a favourite among many amateur video editors, because the free version is robust by itself and features most of what one would need when not dealing with professional projects. It is available for both MacOS and Windows. Select the clip that need to apply blur face in the timeline, and then go to the Effects tab and select Utility. If the image is still, then you can click Mosaic option and drag it in the video clip in the timeline. Double click the video clip applied Mosaic effect in the timeline to enter the video effects tab, in where you can dictate the size of the area, the mosaic types, and also adjust the opacity. If the image is in motion and you’d like the blurred area to be mobile as well, drag the Face Off from the Effects tab to the timeline and adjust it in the Video Effects tab as well. You can pick the face-off pattern under Video Effects and the Face-off feature will tracks the face that appears on the screen and applies a blur to it. When you’re done, click OK to save the changes and then click Export and pick your desired video format. Learn more detail about Adding Blur effects to Videos in Filmora9 . 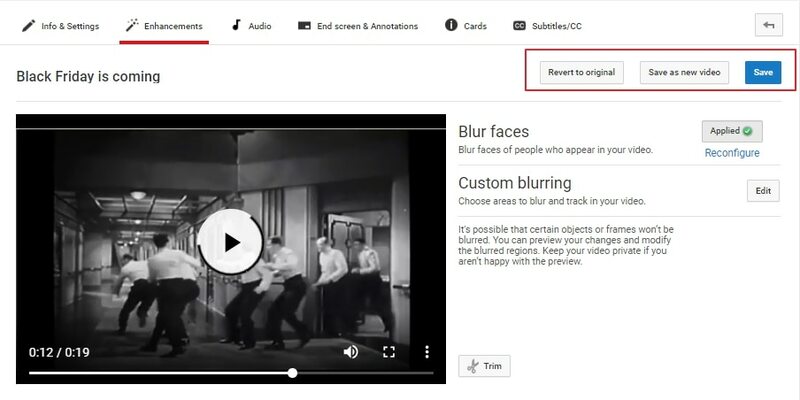 Those interested in learning how to blur faces in videos in order to apply the trick to their YouTube videos will find the fact that you can do this through the Video Enhancements section of your Creator Studios dashboard quite convenient. This addition is something that has been introduced in 2006 and has been well received by the community. Sign in your YouTube account and select the Creator Studio option after clicking the avatar. Locate the video that you want to edit and access video Enhancements. 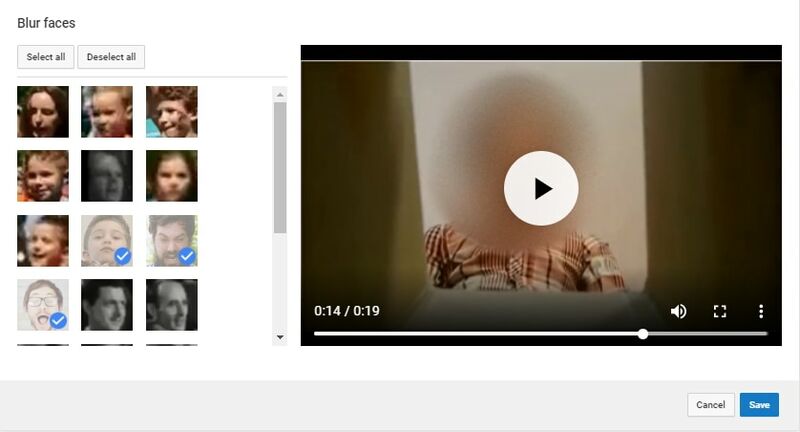 YouTube will use the face detection tool to analyze all faces in the video and displays the faces in the left side. You can click the face image to blur a specific face throughout the video. Preview the blurring effects and if everything goes OK, click Save to save the face blurring effect to video. After you’re finished the editing, click Save to save the edits in-place, or Save as New Video, which creates a new video (this would mean, however, that you would lose any views you previously had). In the Enhancement window, you can also blur a specific area of the video with the custom blurring option. Want to edit YouTube videos with more features, check our picks of the best video editing software for YouTubers in 2018. 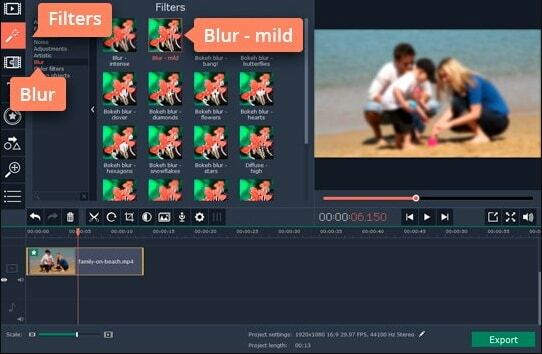 Movavi is a popular choice for when it comes to free video editing softwares. It is available for both Windows and MacOS and is a breeze to work in - the perfect software to learn how to blur the faces in videos in. Once the filter gallery opens, drag your desired filter over the clip or image. You can apply either the Blur Intense or the Blur Mild effects if you would like to determine their strength. Click Highlight and Conceal, and then click Conceal. Position the orange box over the area that you want to be affected. You can adjust the Opacity slider to determne the strength of the effect. Click on Pixels if you want the blur preset to be pixellated. You can also click on Add Mask if you would like to apply a mask to certain areas of the clip. Corel VideoStudio is also a commonly used video editor that is favored due to its ability to deal with what most people try to get out of it. It might not be the best out of all the software out there, but it’s certainly able to blur an area with no hassle involved. It is only available for Windows. Select the video clip on the timeline and find and click Track Motion. You can drag the tracker over any area of the clip that you would like to cover, and then click the Apply Mosaic You can also choose the shape of the pattern. If you want the tracked area to move, click Set Multi-Point Tracking and drag the area over the spots you’d like to cover. This option automatically applies a Mosaic effect. Once you’re done, click the red Track Motion button (to the right of the play button) and it will generate a tracking path for you. Once you’re done, click OK. Premiere Pro CC is Adobe’s dedicated video editing software. There are many video editors out there that have some experience in Photoshop as well, and since there’s a chance they work in Premiere Pro CC due to how similar the UI of both of these products is, we’ve decided to give this NLE some attention as well. Available for both MacOS and Windows. How to Blur the Faces in Premiere Pro? Select the video clip in the timeline. Access the Effects tab, and then click Video Effects, and then Stylize. Go to the Effects Control tab, and pick the shape of blurred area. The elliptical and 4-point polygon mask options are what most people use when blurring faces in particular. Adjust Positioning, Scale, and/or Rotation to your liking. What sort of video editing software you go for when you want to edit the face in videos is ultimately up to you - we’ve only expressed our personal preferences in the hopes that it might help some of the people that are interested in the subject. Most of the steps present in this list are similar to each other and you will find that once you learn how to do this trick, you will become far more familiarized with all the various effects available to you. 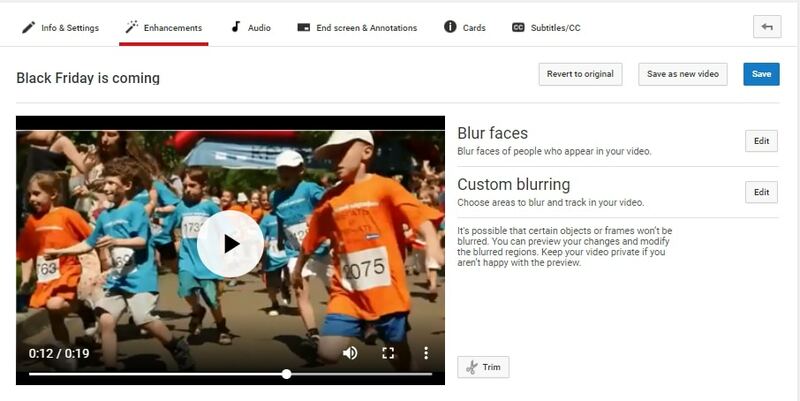 Previously we have talked about how to blur faces online without downloading video editing apps , we recommended FilmoraPro for blurring any faces in photos and videos. With the Witness Protection effects in FilmoraPro, you can blur some sensitive information and faces in the videos easily and adjust the blur size, position, softness and block size with more controls. Download and have a try to blur any faces with FilmoraPro.